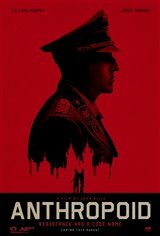 Based on the true story of two Czechoslovakian soldiers - Josef Gabcík (Cillian Murphy) and Jan Kubiš (Jamie Dornan) who were sent to assassinate Reinhard Heydrich - the head of the SS. Heydrich was the Reich's number three man and main architect for the "Final Solution." The two soldiers plotted the assassination, which was to take place while Heydrich was being driven along a quiet road. Unfortunately, a series of events led to their mission not going quite as they'd planned it. The consequences of their actions were severe, and Hitler, angered by the attack, ordered his Nazi soldiers to commit atrocities on entire towns filled with innocent people.